NASA aims to transmit up to 200 gigabits of data per second that will reach Earth in 20 minutes, making HD video of a future Mars landing a possibility. NASA is set to launch a communications system that will enable live feed from Mars to Earth in high definition. This mission would precede the first planned manned Mars landing, and could enable video of that event to be transmitted back to Earth in near-real-time for all to see, similar to the way the first Moon landing was telecast across the world, reported NPR. NASA will place this communication system in Mars' orbit in an upcoming launch, noted the report. This system will be using light-based video transmission similar to fiber optics. Light is used to transmit data at high speeds across the world and this is how fast internet works. Using the same principles, NASA wants to send signals using lasers instead of cables. This technology has already been demonstrated by NASA when they were able to send video from the Moon to Earth in real time and in high definition in 2013. They only have to scale it up for Mars now. The Moon is about 240,000 miles (384,400 km) from Earth, but Mars is on average 140 million miles (225 million km) away. "The biggest challenges, by far, have to do with distance," said Kevin Kelly, CEO of LGS Innovations, which is building parts for the Deep Space Optical Communications (DSOC) satellite. NASA is planning to launch it along with the "Psyche" mission. This mission is an attempt to reach an asteroid in the belt between Mars and Jupiter. This Asteroid seems to have a nickel-iron core, which could be from a planet in the early days of the Solar System. Earth not more than a dot from Mars, so, "keeping [a laser] pointed in the right direction and receiving a strong signal is going to be a physics challenge for sure," said Kelly. Another problem for this system is time. Even at the speed of light, it takes 20 minutes for a laser beam to travel from Earth to Mars, so a transmission sent back to the point of its origin would not reach the desired destination. On Earth, "You may receive the signal from the Earth, but you can just point back in the direction that you got the signal from," says David Israel, principal investigator on NASA's Laser Communications Relay Demonstration mission. From Mars, the time difference between the signal being sent out and the time it reaches Earth will have moved the target far away from where it was supposed to reach. The entire planet will have moved away from the signal if it travels in a straight line. This can be compared to the way players pass a ball in the middle of a fast game of football. The ball cannot be passed to where the player currently is, but where they would reach in the time it takes for the ball to cross the field. Similarly, the satellite will have to calculate not only where the Earth will be in 20 minutes but also account for the rotation of the planet and where on the planet the receiver will be located. Another challenge, this time from Earth, will be capturing all the signal light that is sent. NASA is set to use the 200-inch Hale telescope on Mt Palomar in California, reported NPR. All the light captured will then be sent to a detector that is currently under construction at the Jet Propulsion Laboratory (JPL) in Pasadena. This detector will be so sensitive that even a single photon of light can be captured. 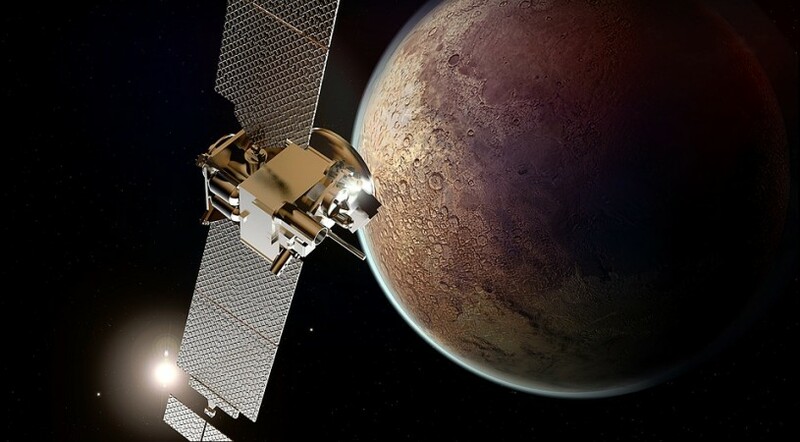 NASA will soon replace traditional radio transmitters on spacecraft if this system is viable, noted the report. MIT is working on a miniaturized version of such a transmitter that they plan to put into low-Earth orbit next year. "The data rates that we're aiming for this demonstration are 200 gigabits per second, 200 billion bits per second," said Brian Robinson, associate group leader of the optical communications technology group at the lab.